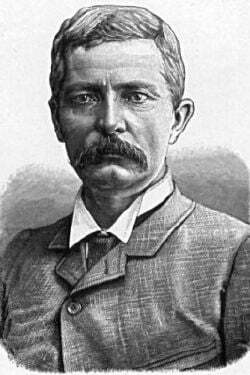 Sir Henry Morton Stanley, also known as Bula Matari (Breaker of Rocks) in the Congo, born John Rowlands (January 28, 1841 – May 10, 1904), was a nineteenth-century Welsh-born journalist and explorer famous for his exploration of Africa and his search for David Livingstone. In his own lifetime, Stanley was criticized for his cruelty towards Africans, whom he regarded as suitable only for labor and exploitation. It has been argued that he contributed to the brutality of Leopold II's regime in the Congo. Stanley first met Leopold in 1878 and dedicated The Congo and the Founding of its Free State in 1885) to him. Leopold financed Stanley expedition of 1879. Stanley himself believed that his exploration in Africa would advance "science, humanity and civilization" but for him Africa was always the "Dark Continent" (Stanley, 1988: 3). For him, Africans were "savages" (2002: 27). His exploration helped to open Africa up to European colonization. He was made a knight by Queen Victoria for services to Britain in 1899. He was born in Denbigh, Denbighshire, Wales. His parents were not married, his father died when he was two years old, and his mother, a butcher's daughter, refused to look after him, and he was brought up in a workhouse (now HM Stanley Hospital, St Asaph) until the age of 15. After completing an elementary education, he was employed as a pupil teacher in a National School. In 1859, at the age of 18, he made his passage to the United States on a ship, and upon arriving in New Orleans, he became friendly with a wealthy trader named Stanley, whose name he later assumed. After military service with both sides in the American Civil War, Stanley was recruited in 1867 by Colonel Samuel Forster Tappan (a one-time journalist) of the Indian Peace Commission to serve as a correspondent to cover the work of the Commission for several newspapers. Stanley was soon retained exclusively by James Gordon Bennett (1795-1872), founder of the New York Herald. This early period of his professional life is described in Volume I of his book My Early Travels and Adventures in America and Asia (1895). He became one of the Herald's overseas correspondents and, in 1869, was instructed by Bennett's son to find the Scottish missionary and explorer David Livingstone, who was known to be in Africa but had not been heard from for some time. According to Stanley's account, he asked James Gordon Bennett, Jr. (1841-1918), who had succeeded to the paper's management at his father's retirement in 1867, how much he could spend. The reply was "Draw £1,000 now, and when you have gone through that, draw another £1,000, and when that is spent, draw another £1,000, and when you have finished that, draw another £1,000, and so on — BUT FIND LIVINGSTONE!"" "Dr. Livingstone, I presume?" A contemporary illustration. Stanley traveled to Zanzibar and outfitted an expedition with the best of everything, requiring no fewer than 200 porters. He located Livingstone on November 10, 1871, in Ujiji near Lake Tanganyika in present-day Tanzania, and greeted him (at least according to his own journal) with the now famous, "Dr. Livingstone, I presume?" (which was tongue-in-cheek because Livingstone was the only white person for hundreds of miles). Stanley joined him in exploring the region, establishing for certain that there was no connection between Lake Tanganyika and the river Nile. On his return, he wrote a book about his experiences. The New York Herald, in partnership with Britain's Daily Telegraph, then financed him on another expedition to the African continent, one of his achievements being to solve the last great mystery of African exploration by tracing the course of the river Congo to the sea. Controversy followed Stanley for most of his life. In later years he spent much energy defending himself against charges that his African expeditions had been marked by callous violence and brutality. Despite Stanley's efforts, the facts gradually emerged: his opinion was that "the savage only respects force, power, boldness, and decision." Stanley would eventually be held responsible for a number of deaths and was indirectly responsible for helping establish the notorious rule of Léopold II of Belgium ovesr the Congo Free State. 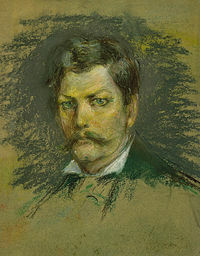 Portrait of Stanley by Alice Pike Barney. On his return to Europe, he married Welsh artist Dorothy Tennant, and entered Parliament as a Unionist member for Lambeth, serving from 1895 to 1900. He died in London on May 10, 1904; at his funeral, he was eulogized by Daniel P. Virmar. His grave, in the graveyard of St. Michael's Church in Pirbright, Surrey, is marked by a large piece of granite. In 1939, a popular film called Stanley and Livingstone was released, with Spencer Tracy as Stanley and Cedric Hardwicke as Livingstone. Ray Thomas, flautist and vocalist with the Moody Blues, wrote a song entitled, "Dr. Livingstone, I Presume," which was released on their 1968 album, In Search Of The Lost Chord. An NES game based on him was released in 1992 and called "Stanley: The Search for Dr. Livingston"
Stanley Electric Co., Ltd.—located in Tokyo, Japan—obtained the right to use Stanley's family name in honor of his discoveries "that have brought light into many spots of the world undiscovered and hitherto unknown to mankind." The company produces light emitting diodes, liquid crystal displays and all kinds of lamps, including automotive headlamps. His great grandson, Richard Stanley,is a highly regarded South African filmmaker and director of documentaries. ↑  Retrieved December 5, 2007. ↑ Stanley Electric Retrieved December 5, 2007. History of "Henry Morton Stanley"
This page was last modified on 18 December 2017, at 16:58.